Has someone you love reached a major goal or achieved a significant accomplishment? 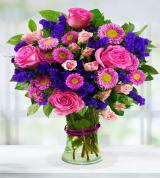 If so, then congratulations are in order, and flowers are an excellent way to express how proud you are. 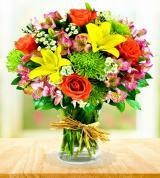 While a phone call will do, flowers are a physical representation of your congratulatory wishes. 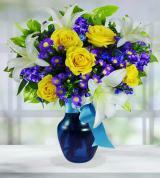 When you need them, you’ll find the perfect congratulation flowers here at Avas Flowers. 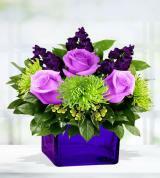 We are an online florist with the resources and affiliations to serve customers nationwide. 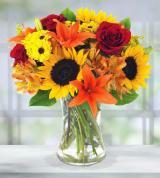 Do you need to send flowers to a cousin in another city or a friend in another state? Because we work with florists across the nation, you can easily make arrangements for flower delivery to the location where you need them sent. 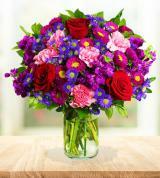 When saying congratulations, flowers are one of the more beautiful ways to do so. 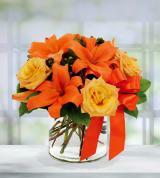 Most people enjoy an attractive floral arrangement that serves as a reminder of their accomplishments and that can enliven their home or office. When choosing from our selection of congratulations flower arrangements, consider the type of flower that you want to send. Different types of flowers are often thought to represent or mean certain things; for example, the yellow poppy represents success, and the tiger lily expresses pride. While these are great options to consider, selecting one’s favorite flower type and color is always a safe choice when selecting congratulation flowers. 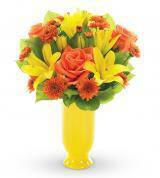 In addition to selecting the right flowers, various keepsake vases and containers are also often available. Although it is common to give a bouquet of flowers, congratulations may also include other types of gifts or arrangements. In fact, we offer additional options right here on this page. 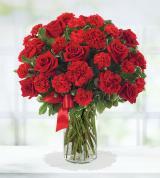 When it comes to specific, currently available arrangements, our selections may vary; however, at any given time, you may also purchase live plants and/or fruit baskets as a way of telling someone “congratulations.” Flowers, such as roses, that come with a teddy bear, an assortment of chocolates, or both are often also available to order from our site. 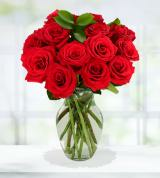 Avas Flowers is a florist that you can count on for any of your floral needs. 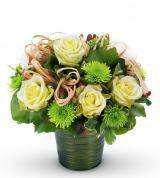 When you buy a congratulations bouquet or any of the arrangements on our site, you can trust that only the finest materials and premium flowers are used. 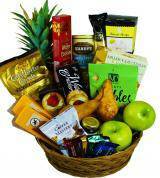 You can also rest assured that your gift will be received according to schedule. 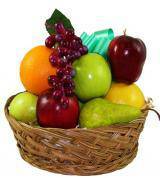 We also want to ensure that your experience with us is a pleasant one. 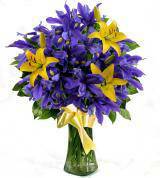 That starts by answering any questions that you may have either about our congratulation flower arrangements or about us in general. Customer service representatives are available to speak with you 24 hours a day, seven days of the week. We also include a FAQ page on our site so that our customers may browse the more common questions asked by our customers.